You are no longer need to get to get in and out of the gym if you have the fitness equipment in your house. There are many people who said that buying a fitness machine is just a waste of money as they can go to the gym, but if you think it again going to gym from time to time is also a waste of money and time. If you have a fitness machine at your home, you can make your own schedule and do all the things that you want. You don’t need to worry about its price as today’s gym equipment are mostly quite affordable. One of that fitness equipment is Bowflex PR 1000. This equipment can be used for many exercises, and you can get its benefits in no time. You will experience such great and smooth device which emphasized greatly in the balanced workout. 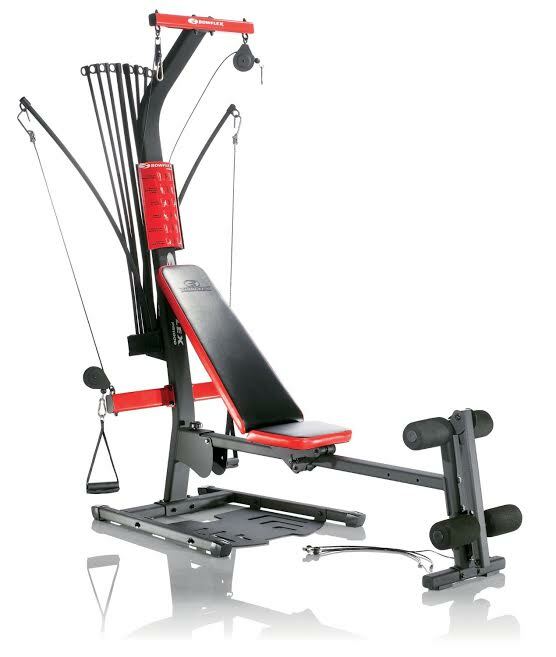 The Bowflex PR1000 itself was introduced back then in 2008. Its price is very acceptable, and the number of exercises you can do is massive, around 30 different kind of exercises which can be adjusted every day. So if you want to learn more about Bowflex PR 1000, let’s see the explanation below. There are many features which can be found around Bowflex main body. Bowflex PR 1000 has the horizontal bench press platform which can be used for about 30 different exercises. It offers the upholstered roller cushion for the leg exercises, sliding seat rail for the aerobic, and folding bench for the storage in case that you need it. Bowflex features are mostly about its company caring about its customers. Unlike other products, Bowflex offers so much comfort to the customers with various features which can be easily used by its users. Bowflex has a good performance along with its good features which make the users get the most comfortable feeling. Not only that Bowflex PR 1000 is a very affordable product, but it also offers you various useful features. If you use it according to its procedure, you can get a really good proper workout which is why many of its users hardly need to go to the gym anymore. It can save all your precious time along with your money. The only thing that is sometimes bugging is about its space. However, Bowflex’s size is not that massive as it is pretty much has a size of 1/3 of one car. So you don’t need to worry about its space too much. Bowflex PR 1000 offers numerous good features along with an alternative choice for you who love to go to the gym. Buying this item is pretty much can save your time and also a considerable amount of money. You can adjust your training by yourself, and the mechanism is pretty easy. So it is better for you not to lose this kind of possibility. Check the best price for Bowflex PR1000 here!